The half-brother of Vikings star Dalvin Cook was one of two teens shot in Miami's Little Haiti neighborhood. 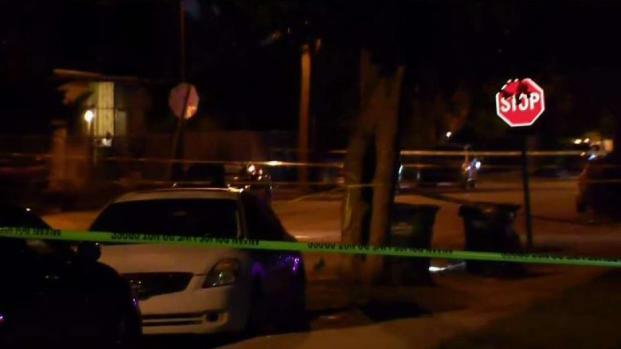 Two teenage boys – including NFL player Dalvin Cook’s half-brother – were hospitalized after being shot in Miami’s Little Haiti neighborhood Thursday night. Fourteen-year-old Demarcus Cook and 17-year-old Arquaylin Taylor were playing basketball before 9 p.m. in the area of 2nd Avenue and 56th Street when gunfire erupted. Police have released few details about the shooting, but neighbors say it was a drive-by. The teens were transported to Ryder Trauma Center. Taylor, a student at Miami Edison High School, was struck in the arm and is still recovering in the hospital as of Friday afternoon. Cook, a student at Miami Northwestern Senior High School, was shot in the chest and is recovering from home. 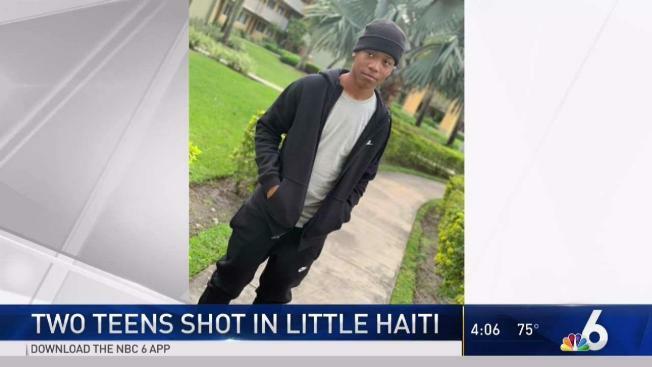 Two teens are expected to recover after being shot in Little Haiti. NBC 6's Jamie Guirola reports. Demarcus Cook is the half-brother of Dalvin Cook, current Minnesota Vikings running back and formerly of Florida State, his mother said. The shooter remains at large. Anyone with information should contact Crime Stoppers at 305-471-(TIPS) 8477.